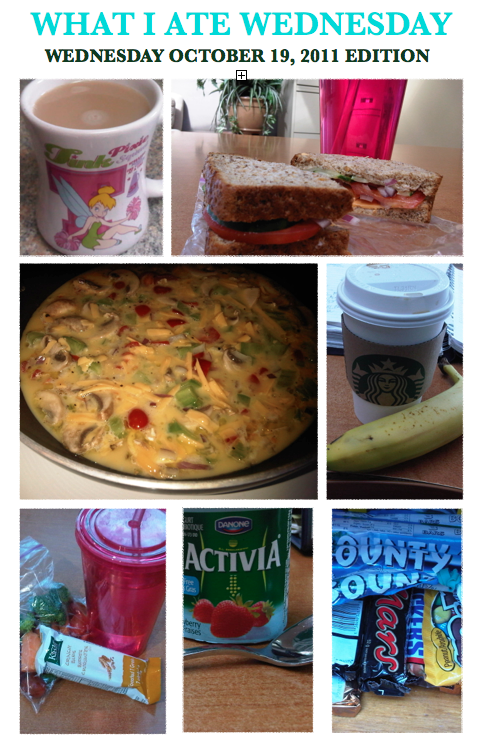 What I Ate Wednesday and What Are Green Tea’s Benefits?! This week I have been making a conscious effort to drink green tea at least once a day. Green tea has so many benefits but my favourite is the prevention of skin cancer and many other cancers that can occur in your major organs. The predominant polyphenols in green tea- ECHH, EGC, ECG, and EC along with theaflavins and thearubigins in black teas have antioxidant activity. EGCG and ECG have free radical that can protect cells from DNA damage. Tea polyphenols prevent tumour cell reproduction. Tea polyphenols may protect against damage caused by ultraviolet B radiation and may regulate the function of your immune system. Green teas also activate detoxification enzymes that help protect you against tumour development. I also find that my skin has a much healthier glow from all my tea consumption. Yes please, Anna Kournikova like skin! Join in the WIAW party with the wonderful Jenn! What’s in your secret sweet stash? !